Why mention Yoga on a website about books? The obvious reason is that practicing Yoga helps me sit in my writer’s chair. The not-so-obvious reason surprised even me. After distancing myself from Catholicism at age thirteen I stumbled upon a wonderful little paperback called ‘Comparative Religions’. I discovered Shinto and Islam and Zoroastrianism. And, of course, Hindu. Names like Atman and Brahman, Vishnu and Shiva struck a deep chord. I read the Bhagavad Gita in High School, developed a crush on Lord Krishna and turned my back on the Saints. As an adult and a novelist (and having made my peace with the Saints), I went to Ireland to look for faeries and to discover why my stories insisted on either bubbling up from this part of the world or circling back to it. I became enchanted by the Gaelic place-names on road signs. Liscannor, Lisdoonvarna, baile na hAbhan, Toormakeady…. names that oozed mystery and in some cases defied pronunciation. Many places here in North America retain their original Native names. Lahaska, where I live in Eastern Pennsylvania, means ‘place of much writing’. Most names describe an aspect of the land ~ Place where waters meet. Place of sharp stones ~ or a specific use for the land. Hoboken means ‘place where pipes are traded’. Mahwah is ‘a meeting place’. Names whisper of human connection. Human drama. But the Gaelic language felt impenetrable to me. What might a name like An Seanphobal be trying to say? I eavesdropped on Ferrymen in Doolin and listened to a radio talk show in Irish Gaelic while I drove from Galway to Sligo. Did I hear Russian? German? Slavic? Portuguese? The language changed like the Irish weather, one minute breezy and light, then suddenly weighted with a guttural staccato, like raindrops slapping the windshield. As an English speaker with a high-school knowledge of Latin, I searched for a hint of the familiar and met only with mystery. It wasn’t until I got to the river Boyne that a light went on in my head. ‘Bru na Boinne’ translates to ‘mansion of the Boyne River’. This bend in the Boyne is home to an astonishing group of prehistoric passage tombs that date back 5000 years. The mythology that clings to this beautiful place has to do with the river Goddess Boann, whose name means ‘white cow’. The name sounded familiar. Here’s why. I recognized the Latin ‘bovine’ in the name Boann. The river’s older name is ‘Bubindas’, which comes from the proto-Celtic ‘Bou-vinda” (white cow). Bovinda was the Celtic goddess of cows, fertility and motherhood. I don’t think it a coincidence that her name rhymes with Govinda, an aspect of Krishna that refers to his boyhood occupation as a cowherd. Krish means ‘existence’ in Sanskrit. The Irish ‘croi’ means core or heart. The Sanskrit brAhmNa (priest) stands cognate with the Irish ‘breitheamh’, which means ‘judge’. 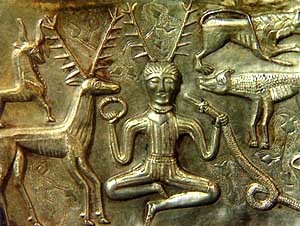 The Irish Druids acted as priests, judges, historians and healers. You get the picture. I started practicing Yoga not long after this journey to Ireland, not because I saw the connection between Ireland and India, but because I needed a way to stay fit. That was eleven years ago. 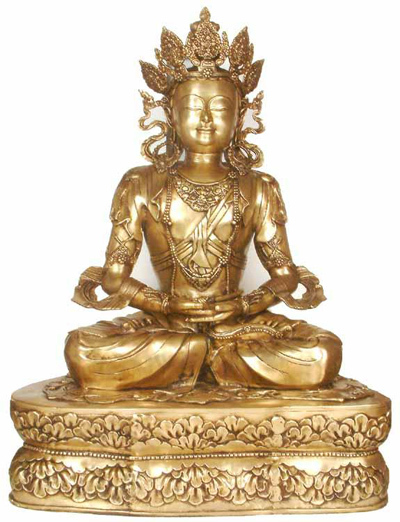 I have since begun to explore Tantra philosophy and its marvelous tradition of storytelling. The Gods and Goddesses that populate these tales don’t threaten us with eternal damnation. Nor do they try to frighten us into good behavior. Rather, they teach us by example how to live from our hearts. As a reader, I love to chart the transformation of a character. This fictional arc gives me hope that I, too, can grow and change and overcome hardship. Redemption and rebirth live at the core of our most ancient traditions. We never get tired of hearing about them because they feed our souls. We Westerners aren’t encouraged to cultivate inner space. We abhor emptiness and spend our lives trying to fill it. We eat, shop and acquire. But this doesn’t satisfy in the long term. Such is the human condition, you say, and I agree…to a point. I don’t believe we were meant to live as consumers. Certainly our bodies need nourishment, shelter, clothing. But we are spirits, too. It took me a long time to understand that I needed to strike a balance between body and spirit. Yoga, for me, is that balance. Cultivating emptiness to find fullness is a paradox. But so is the notion of quieting the mind in order to hear something greater.